You may have some donors in your database who haven’t donated since 2014, for example, or some who haven’t donated at all. Now is a good time to get in touch with them through a mailer. In Akubo, you can view a list called Lapsed Donors: it’s a list of donors who have donated before, or have not given since, 2014. For this tutorial, we will get the list of donors who haven’t donated since 2014 and even those who have never donated to your organization yet. Create a group of all contacts. 1. On the main page of Akubo, click on the Menu icon and select View All Contacts. 2. 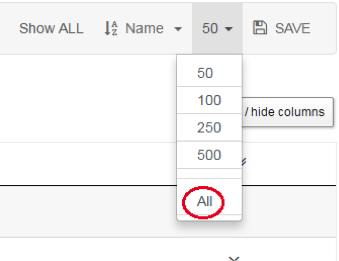 On the listing page you have the option to set the number of displayed rows. Beside the Save link, click All. 3. Tick the checkbox beside Contact Name to select all contacts, then click Add to Group. Create a new group (e.g. ‘ALL as of June 2017’). Verify that all contacts are added to the group. 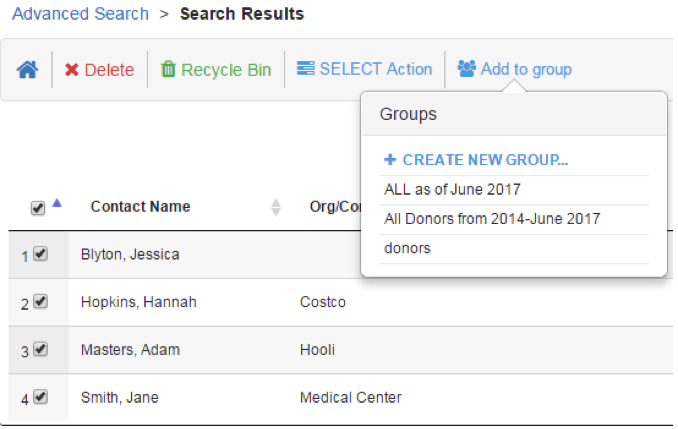 Create a group for all donors from 2014 to present. 1. On the main page of Akubo, click the Menu icon and go to Helpful Lists. 2. Select Donors, then Custom Range. 5. On the listing page, select All (beside the Save link) to display all the contacts. 6. 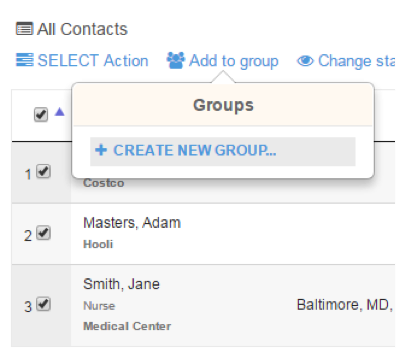 Tick the checkbox beside Contact Name to select all contacts, then click Add to Group. Create a new group (e.g. ‘All Donors from 2014-June 2017’). Verify that all the donors from the list were added to the group. 1. On the main page, click Advanced Search. 2. Under the Available Fields dropdown menu, choose Groups. 3. On the left column, you’ll see the criteria of your search and the list of groups. Select the group for all contacts (ALL as of June 2017). 4. For Groups, you’ll be able to add a sub-criteria. Click + Add sub-criteria. 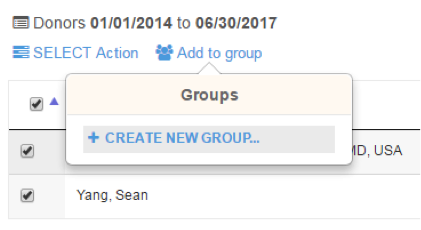 A second set of your group lists will appear. 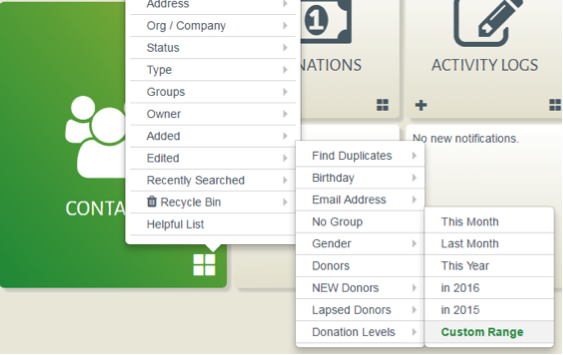 In the dropdown, choose the criteria not a member of and select your groups for donors from 2014 (All Donors from 2014-June 2017). 6. Tick the checkbox beside Contact Name and click Add to group.